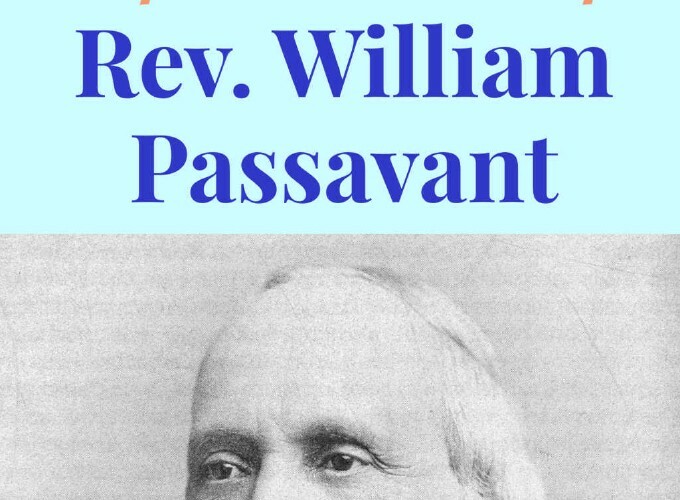 The Life of Dr. Passavant should have been given to the Church at least a decade ago. All good biography is history in the concrete. In the lives of God’s eminent children we have most useful and delightful information for the mind, inspiration for the spirit, braces for our faith, stimuli for our hope and most effective incentives for our love. Such lives are lived for others. They are not over when those who lived them are gone, but being dead they yet speak. So begins Gerberding’s accounting of the life of this extraordinary Lutheran man. This re-release of his biography is sent forth with the prayer that it might feed the hope and faith of God’s people just as Rev. 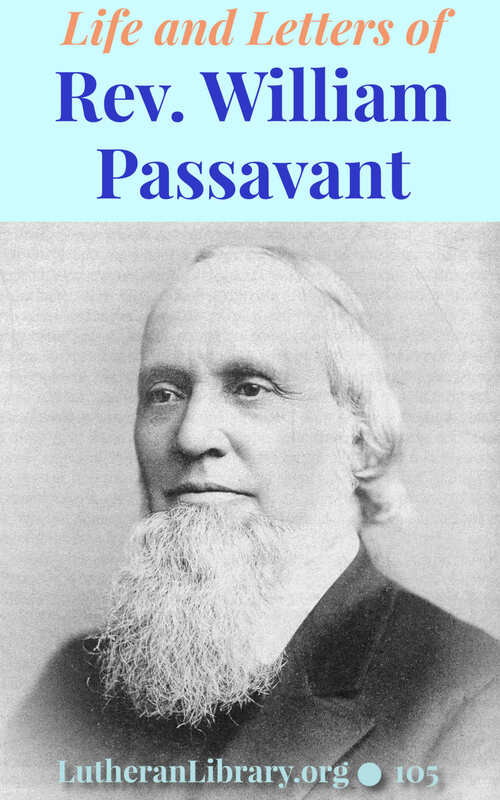 Passavant did for so many in so many ways in Pittsburgh, Milwaukee, Chicago and Baltimore not so very many years ago. 17. 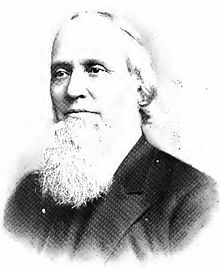 Chicago Hospital – Bassler’s Death – Passavant’s Influence. “A family from Norway consisting of father, mother and four children, through the aid of benevolent persons at home, had obtained the means to emigrate to this country. They fared well across the Atlantic Ocean, and a little farther than Buffalo, N. Y., where the father, by accident, was caught under the wheels of a car which passed over his body and cut off his legs above the knees. The cars passed on at their usual rate, leaving the poor man to his fate on the track. The widowed mother came on West to the Norwegian settlement at Lisbon, Ill., and died of cholera the next day, leaving the four children without relatives or anyone to provide for them. The man with whom these children now live has himself a large family and is in limited circumstances. When I last preached in that neighborhood he spoke to me of the necessity of making some arrangement for their care, and I advised that some of the members divide them amongst their families until I could write whether there was still a place in the Home. The common practice out here has been to bind such children out, regardless of the character of those to whom they are given, or, in other words, to enslave them up to a certain age, a system which I hate from my very soul. We need scarcely add that we immediately wrote ‘to send the children on.’” – from Chapter 11.